This essay contains the advice or opinions of one or more BattleTechWiki Editors regarding interacting on the wiki. Essays may represent widespread norms or minority viewpoints. Consider these views with discretion. Consider discussing potential changes on the talk page first. The BattleTechWiki is a BattleTech-centric encyclopedia, incorporating elements of general encyclopedias, specialized encyclopedias, almanacs and other reference materials. All articles concerning licensed issues must be based upon licensed sources and strive for accuracy; personal or fan-created material must be posted in established areas designated as non-licensed. The BattleTechWiki is not the place to insert personal opinions, experiences, or arguments. Furthermore, the BattleTechWiki is not an indiscriminate collection of information. The BattleTechWiki is not a trivia collection, a soapbox, a publisher, an experiment in anarchy or democracy, or a web directory. 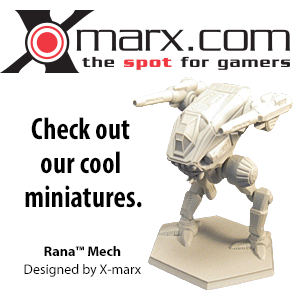 Nor is the BattleTechWiki a dictionary, a newspaper, or a collection of source documents. The BattleTechWiki has a neutral point of view, which means we strive for articles that advocate no single point of view. Sometimes this requires representing multiple points of view; presenting each point of view accurately; providing context for any given point of view, so that readers understand whose view the point represents; and presenting no one point of view as "the truth" or "the best view". It means citing verifiable, authoritative sources whenever possible, especially on controversial topics. When a conflict arises as to which version is the most neutral, declare a cool-down period and tag the article as disputed; hammer out details on the talk page, follow the dispute resolution and respect the actions of Admins. The BattleTechWiki is free content that anyone may edit. All text is available under the GNU Free Documentation License (GFDL) and may be distributed or linked accordingly. Recognize that articles can be changed by anyone and no individual controls any specific article; therefore, any writing you contribute can be mercilessly edited and redistributed at will by the community. Do not submit copyright infringements or works licensed in a way incompatible with the GFDL. The BattleTechWiki has a code of conduct: Respect your fellow Editors even when you may not agree with them. Be civil. Avoid making personal attacks or sweeping generalizations. Stay cool when the editing gets hot; avoid edit wars by following the the three-revert rule; remember that there are 25,880 articles on the BattleTechWiki to work on and discuss. Act in good faith, never disrupt the BattleTechWiki to illustrate a point, and assume good faith on the part of others. Be open and welcoming. The BattleTechWiki does not have firm rules besides the five general principles elucidated here, as even the policies can be updated to match the project's requirements. Be bold in editing, moving, and modifying articles, because the joy of editing is that, although it should be aimed for, perfection isn't required. And don't worry about messing up. All prior versions of articles are kept, so there is no way that you can accidentally damage the BattleTechWiki or irretrievably destroy content. But remember — whatever you write here will be preserved for posterity. And we are all judged by our actions. 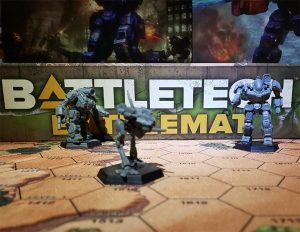 This page describes the BattleTechWiki's fundamental principles. These principles predate the creation of this page. It is sometimes said that all or most policy is based upon this page, but some policy also predates the creation of this page. For a listing of all promulgated and developing policies, please visit the Policies Category. This page was last edited on 23 April 2018, at 09:16.